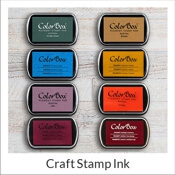 Here at Simply Stamps, we get a lot of questions about our stamps, how they are made, how to use them, and most importantly how to re-ink them when they need it. In order to better serve our customers and answer some of the more popular questions we receive, we have created a series of helpful how-to videos! 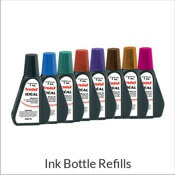 Did you know that there are plenty of people out there who are under the impression that when their trusty self-inking stamp starts to run out of ink, the time has come to replace it? But this isn't actually the case! The actual stamp itself can remain perfectly functional for decades. We've had tons of stamps come through our doors, dating back years and years with no problems other than needing some new ink. In fact, learning to re-ink your stamp yourself is quite easy and not to mention less expensive than replacing the whole thing. 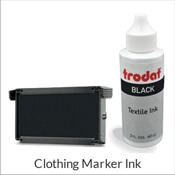 On this page we go over the different types of stamps we offer, as well as our ordering process, and of course a number of videos which both show and explain how to re-ink your stamp. We know that not all stamps are created in the same way, so it may be that the re-inking method you are used to will not work for your new stamp. 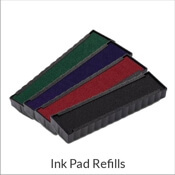 Simply scroll through our video selection below, find your stamp, and watch how to properly re-ink you stamp. We continue to add to this video library so please check back often!